AICN HORROR Contest: Find out how you can win a poster&comic from A GIRL WALKS HOME ALONE AT NIGHT! 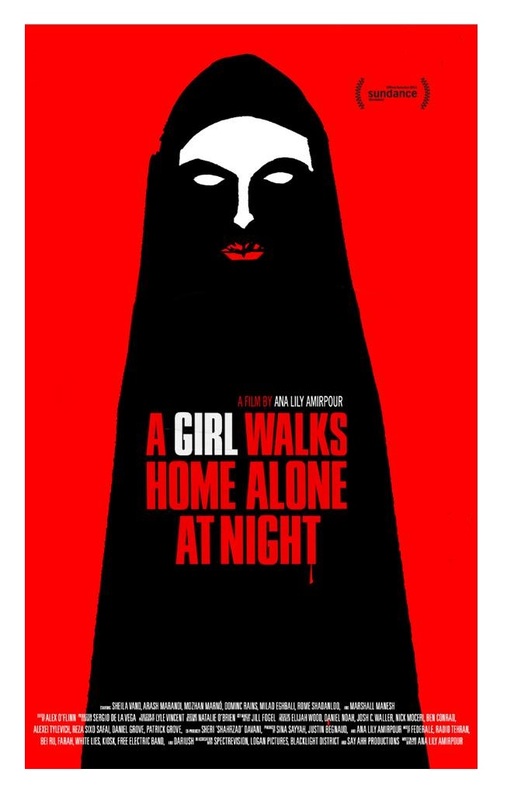 AICN HORROR Contest: Find out how you can win a poster and comic book from A GIRL WALKS HOME ALONE AT NIGHT! Ambush Bug here. I posted my review of A GIRL WALKS HOME ALONE AT NIGHT earlier today and I wanted to follow that up with a special contest to celebrate that excellent film’s release in select theaters and On Demand. The film centers on an Iranian vampire walking the streets of a town simply called Bad City. It’s a truly unique film, full of electric sights and sounds. To celebrate the film’s release I have 15 posters from the film and 15 copies of the first issue of the comic book series to the film entitled “Death Is the Answer” to give away to 15 lucky AICN HORROR readers. All you have to do is click on this link and tell me if you were walking down the street late at night and had to run into one vampire from any book, movie, comic book, or TV show, which vampire would it be? Answer that and provide your full mailing address (US only, sorry!). Also just to let you know, since this is a rated R film, the winner must be over 18 years of age. If you meet all of that criteria, provide your full address and give me an answer worth a darn, you could be the proud owner of A GIRL WALKS HOME ALONE AT NIGHT poster and comic book. I’ll be announcing the winner of this collection next week.